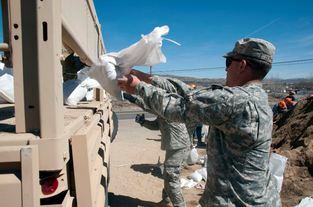 This site is designed to facilitate community preparedness and recovery. Residents can request help or sign up to donate and volunteer. Organizations can help by clicking “I Represent a Local Organization” at the upper-right. Items donated with be redistributed on April 8 from 10 a.m. to 5 p.m. at O'Brien Middle School. March 31, 2017. Items donated at the March 25, 2017 Washoe County Employee Donation Drive will be redistributed on April 8th from 10 a.m. to 5 p.m. at O'Brien Middle School. Reno, Nevada. March 24, 2017. 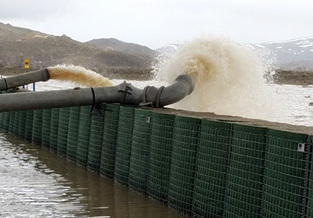 The Washoe County North Valleys Incident Command Team has completed construction of the temporary flood barrier around low lying areas of Swan Lake in Lemmon Valley. 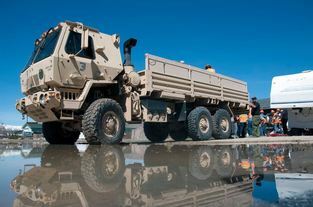 The "Hesco" barrier is four feet high, four miles long and filled with 12,000 yards of sand. Reno, Nevada. March 17, 2017. Reno, Nevada. March 16, 2017. 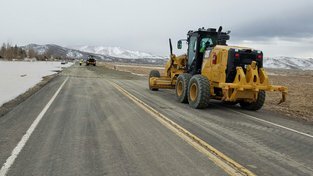 The North Valleys Incident Command team has begun construction of a barrier to prevent flood waters from spreading onto properties and homes. Reno, Nevada. March 14, 2017. 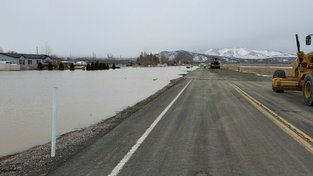 The State of Nevada, Washoe County and the North Valleys Incident Command Team have immediately begun a short-term, temporary plan to prevent the spread of flood waters to protect homes and property in Lemmon Valley. Reno, Nevada. March 11, 2017. 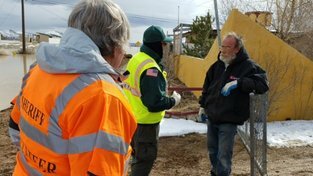 The Washoe County Health District has worked with the Incident Management Team and the Truckee Meadows Water Authority to provide a safe potable water filling location for the residents in Lemmon Valley. Reno, Nevada. March 9, 2017. 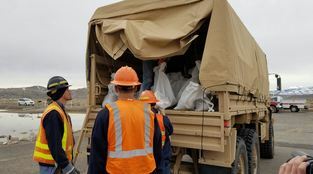 The Washoe County Health District is providing free water testing kits for Lemmon Valley residents to test private wells for the presence of bacteria. They will be available at tonight’s Lemmon Valley community meeting at North Valleys High School at 6 p.m. Important note to residents who have experienced property damage! 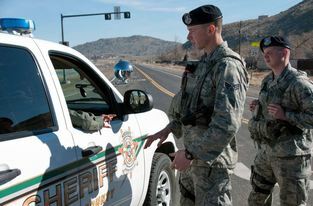 Lemmon Valley community meeting set for Thursday at 6 p.m.
Washoe County and the North Valleys Incident Command Team are hosting a community meeting for Lemmon Valley residents at North Valleys High School on Thursday, March 9, at 6 p.m. 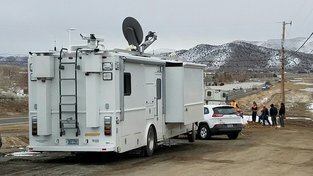 This site is designed to organize community preparedness and recovery in Washoe, Nevada. This site was started by Washoe County on March 07, 2017 and is managed by local organizations in the community. List what you can bring rather than dropping it off. We will contact you!